The current owner, a New York City hedge fund, focuses on lofty profit margins rather than lofty journalistic ambitions, has cut jobs in all areas of the newsroom and refuses to open its purse strings and reward employees with much-needed raises. Fewer journalists means fewer people asking hard questions. Fewer journalists means fewer people demanding accountability from those in positions of power. Fewer journalists means fewer news stories and less information for the public. We seek an owner who has a stake in our community and a sense of local, civic responsibility. The Denver Newspaper Guild hopes that local stewardship will help return the paper to its glory days and a new owner may be more willing to pay the price to do it. That’s the message today from journalists, ad reps and other media workers across the country seeking alternatives to Digital First Media, the nation’s second-largest newspaper chain. 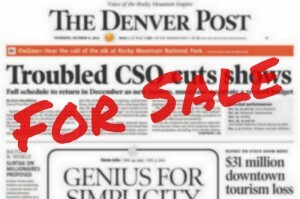 Today, Guild-represented staff at major newspapers including The Denver Post, San Jose Mercury News and St. Paul Pioneer Press have published ads online and in print seeking local, community-minded buyers for their newsrooms. Properties owned by Digital First Media have yet to be put officially on the market, but recent actions (including the sale of newspaper buildings and the shutdown of the company’s Thunderdome initiative) make it clear that investors are seeking an exit strategy. 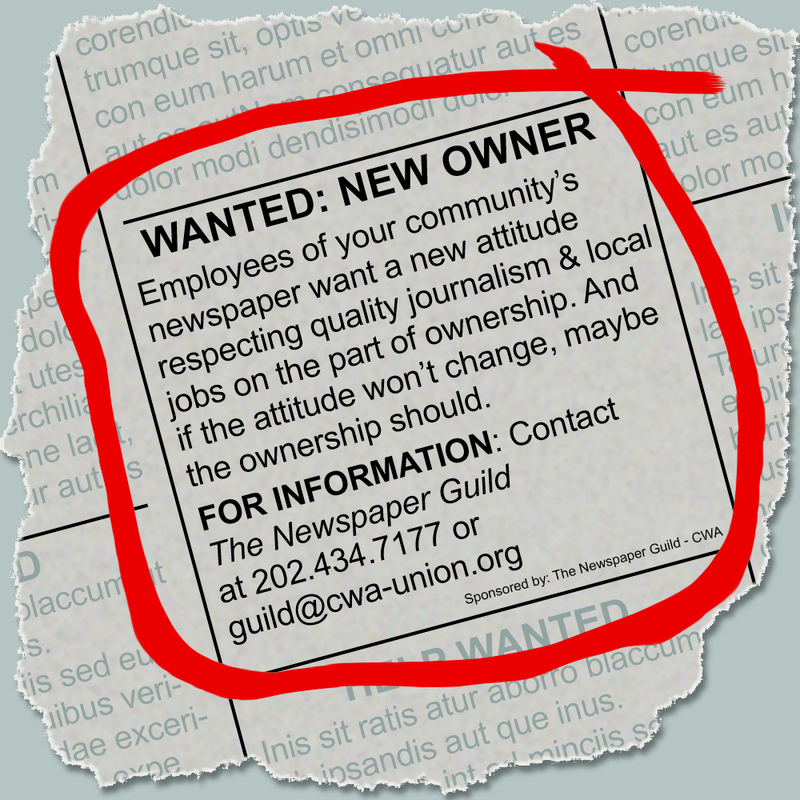 Nationally, The Newspaper Guild-CWA is reaching out to Digital First CEO John Paton, offering to help identify potential new owners for individual papers and regional clusters. Under the direction of Alden, Digital First has drained its media properties of real estate and other assets, while laying off journalists, cutting wages and reducing news coverage. The Guild welcomes confidential inquiries from potential investors, as well as Digital First employees, including those at non-represented papers. Contact Tony Mulligan, Denver Newspaper Guild administrative officer, at dng@denvernewspaperguild.org or 303-595-9818.